Note: we will return back the delivery fee since you place the order in the future. 3. Shipment: How do you ship our goods? We usually deliver goods by ship via our shipping agent, goods can be shiped to any destination port of the world. We do not ship to P.O. Boxes. International Shipping: Wire transfer is a must. 4. OEM or Custom Order: Could we place order by OEM style to produce our own brand products in your factory? Of course you can. Welcome OEM or Custom Order. What you need to do is to send us drawing of your requested style with requirements; We will submit sample for your approval. 5. Payment Terms: How do we arrange payment? T/T:Telegraphic Transfer (wire transfer), 40% down payment, balance upon before shipment or against copy bill of lading; If product is especially designed and produced for customer, the deposit will be requested to higher than normal. 6. Lead Time: How soon we can get the shipment? We will arrange production since the order and payment are confirmed, we will take 10 – 15 days to arrange production and book shipping space in advance before goods is ready. 7. Shipping Insurance: How to arrange shipping insurance? We can arrange and buy shipping insurance on behalf of you. 8. Placing order: How to place an order? 1). For repeated order,just tell us the previous order’s No. 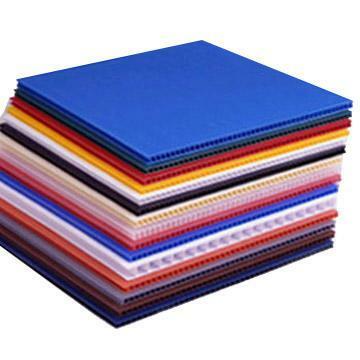 If you have other question about our fluted polypropylene sheet that didn’t show above, please email us at sales@everplastindustrial.com. We will reply in 24 hours.